The Barrymore (left) and The Curtis (right) from STEREOTYPE: Misconceptions of the Native American. Works by Cannupa Hanska Luger, 2013. Courtesy the artist. The act of turning a one-directional gaze (from viewer-to-object) into an elliptical (viewer-to-object-to-viewer) is a deft strategy Luger has continued to deploy in his artistic practice, which has expanded considerably since this 2013 series. As a multidisciplinary artist working in unexpected materials and conceptual dimensions, Luger leverages his art as a tool of protest for urgent issues in social and environmental justice, particularly those affecting Indigenous communities. 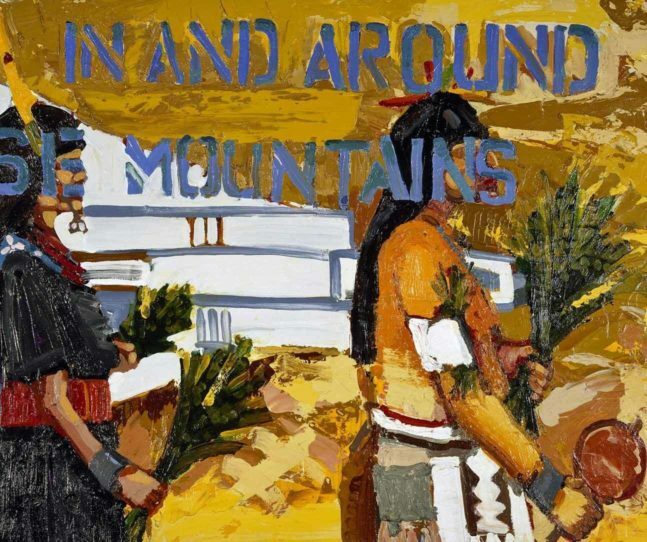 Creating a pathway to empathy is the driving force and dismantling dominant, erroneous perceptions of Native art and cultures by building things anew remains a constant. Luger’s more recent social collaboration projects at once enlighten, penetrate and complicate our visual and conceptual spaces. Cannupa Hanska Luger at Oceti Sakowin camp, Standing Rock, North Dakota, November 2016. Photo: Tomas Karmelo, Indigenous Rising Media, courtesy the artist. Luger (born 1979, Mandan, Hidatsa, Arikara, Lakota, Austrian, and Norwegian) recently won the inaugural Burke Prize at the Museum of Arts and Design (MAD) in New York, a prestigious cash award given to an emergent voice who is pushing the field forward in dynamic ways, and providing a glimpse into the expansive future of contemporary craft. 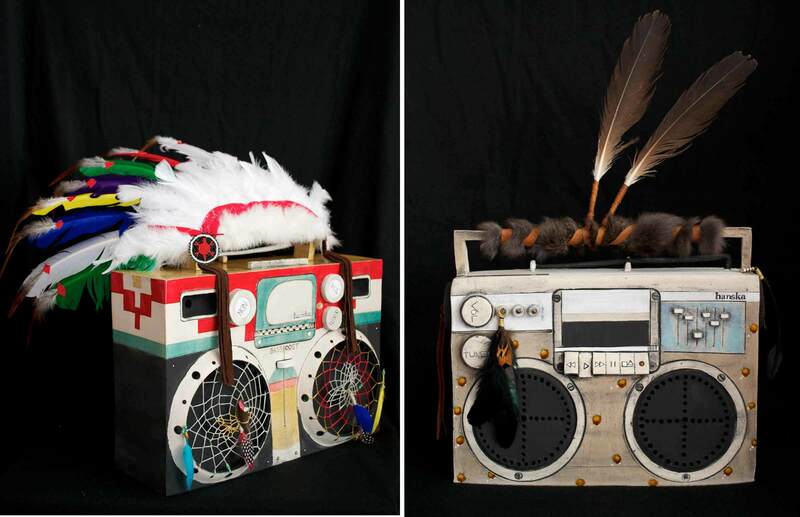 MAD displayed two of his projects which underscore his focus on craft as community endeavor, and at the same time communicate pressing issues in 21st century indigeneity. 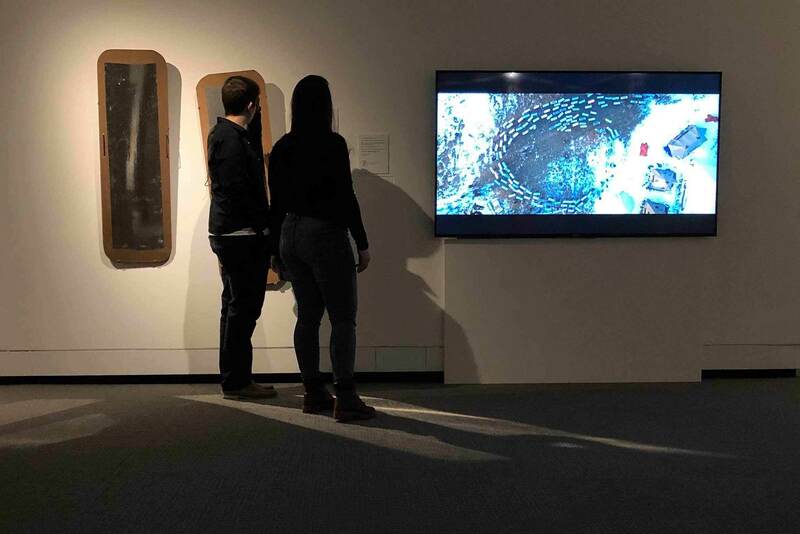 On view earlier this year was Luger’s Mirror Shield Project, 2016; two similar mirror shields and a companion video from this project are also included in PEM’s current traveling exhibition Nature’s Nation: American Art and Environment. 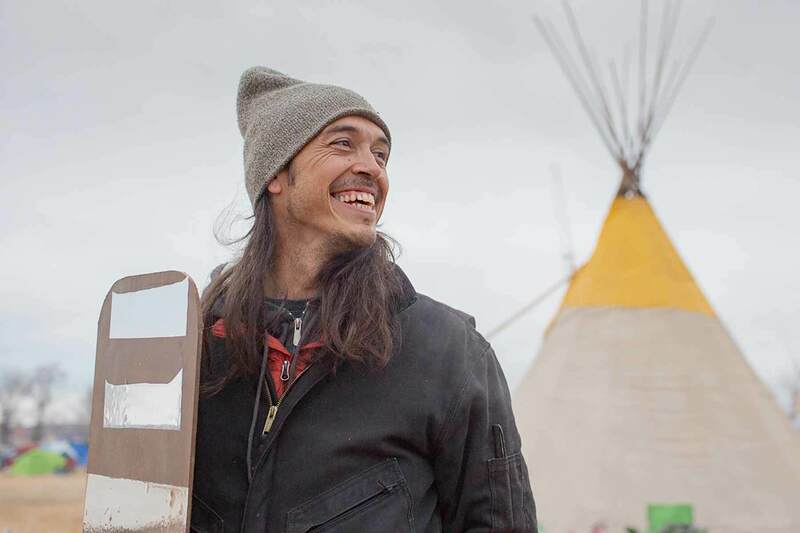 His Mirror Shield Project came into being during the 2016 demonstrations at Standing Rock, North Dakota against the Dakota Access Pipeline construction, which posed major threats to the region’s clean water and to ancient burial grounds. Over several months, thousands of water protectors rallied against the pipeline at Oceti Sakowin camp on the Standing Rock Sioux Reservation. Luger, who now lives in New Mexico, grew up between the Standing Rock Reservation and Arizona. Standing Rock is home, his true north where his relations live. It has also been the site for several of his works and performances. 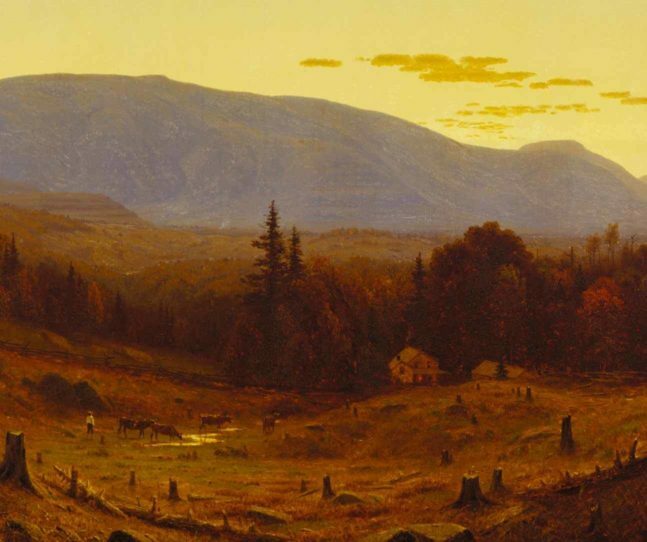 In conjunction with Luger’s artworks on view in Nature’s Nation, is an upcoming public program “Ghosting of America’s Past” at PEM on April 27. 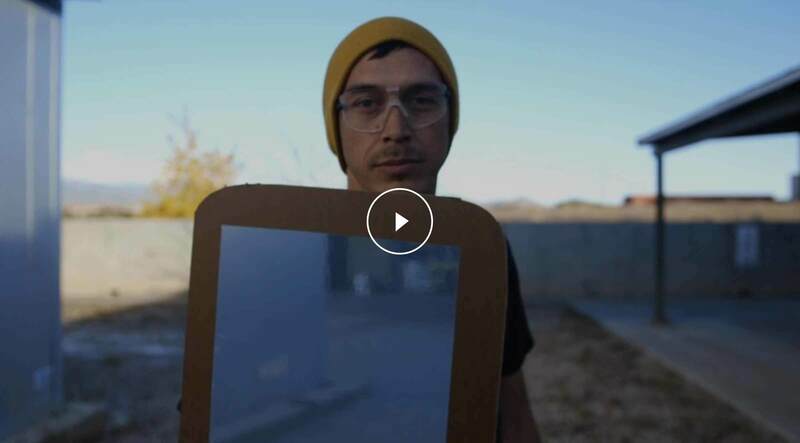 I spoke with Luger March 5 about his Mirror Shield Project, his future endeavors and the relationship between artists, objects and museums. View of installation in Nature’s Nation: American Art and Environment at the Peabody Essex Museum. 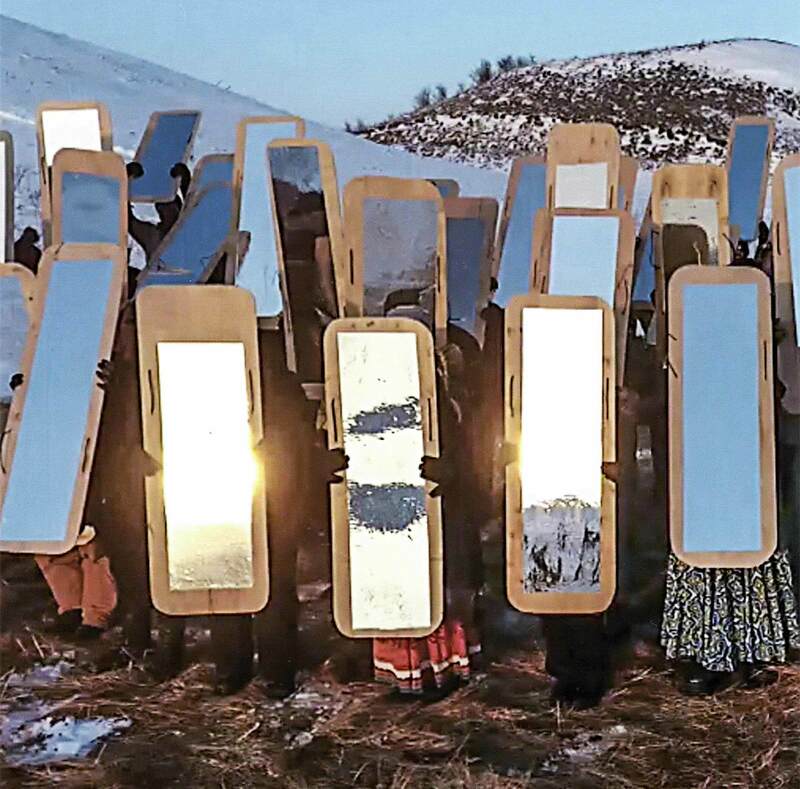 Mirror shields, from Mirror Shield Project, 2016. Concept by Cannupa Hanska Luger. Made by anonymous community members. Masonite, Mylar adhesive paper, and rope. Photo courtesy author. On view with River (The Water Serpent), 2016. Drone video. Water serpent performance organization and drone operation by Rory Wakemup; Film editing by Dylan McLaughlin; Field recording and sound mastering by Ginger Dunnill. Courtesy of Cannupa Hanska Luger. KK: Let’s start with Mirror Shield Project. Was the concept for the project forming over time? Was it born in a specific moment? CHL: The Mirror Shield Project came out of necessity. The inspiration for it was derived initially from the civil unrest and the use of police force to militarize and guard spaces in the Ukraine during their 2014 uprising. What I had seen on the internet was women bringing mirrors out to the frontlines so police in riot gear would see themselves. Something happens when you’re facing a line of riot police where it’s really difficult to see their humanity, because they’re a repeated pattern. You get into these defensive spaces. What I recognize about these mirrors in the Ukraine was that it happened in urban spaces. There was a third party bearing witness to this violence: the public. Up in Standing Rock, we were out on the Plains so it was really just us and them. There was no third party bearing witness to that and the violence that was being inflicted on the people was pretty brutal. If someone got hit with a rubber bullet, the people holding mirror shields could be injured by glass and so I was trying to think of a way to get the mirrored effect without actually injuring the people carrying them, so I developed the concept to use reflective mylar. The mirrored shield is not a new concept. Perseus used the mirrored shield to defeat Medusa. So I was thinking about it in a much broader stroke of Monster Slayer. At its core, I always try to remind people, it wasn’t a protest. The people were gathering there weren’t protesting the oil or the pipeline. They were for protecting our first mother, our natural resource, our first medicine, the water. That is something that is egalitarian. Everyone needs water and should have access to water. That is why we called ourselves the Water Protectors rather than protesters (the media wanted to say ‘protesters’). I liked the idea of bringing these mirrored shields to the front line to create a barrier that actually unites rather than separates and remind the riot police that we’re trying to protect water for them and their children as well. So this was a way conceptually to put them on our front line as well and reflect that conversation back. It ramped up in October when they were spraying people with water hoses and I thought, this needs to happen immediately. Out of that necessity came a quick run to whatever major hardware box stores everyone in the country would have access to. I thought, what can I make here, literally in the parking lot...and that’s where the concept of the design came out of. It’s a really simple and inexpensive way to create solidarity, using the internet as a driver for that. Facebook and Facebook Live, and liking and sharing as a form of protest was really ramped up in that moment as things were happening. I was born about 30 miles south of where that pipeline went across. I was thinking about the response of the community that I have here in New Mexico because by then I had driven many, many loads of resources gathered in New Mexico to Standing Rock, at the camps Oceti Sakowin. The question devolved into, “What can I do -- I’m just one person.” Well, this is what one person can do. And it would embed your muscle memory in your activism rather than just liking and sharing on social media. 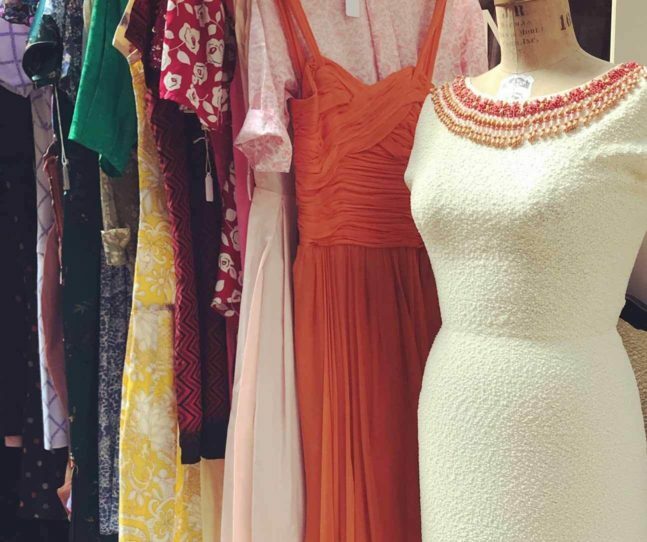 It allows the person to physically make something and be more vested in the whole engagement. That’s the core of where the design came from. KK: There is a video that accompanies the two mirror shields in the installation in Nature’s Nation. 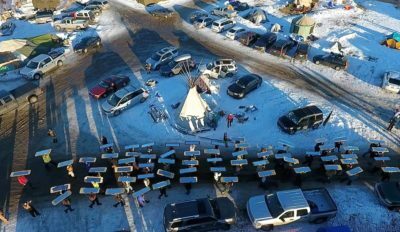 It is drone footage taken by Rory Wakemup and shows the Water Protectors carrying the shields in a mesmerizing serpentine performance. How and when did the drone footage performance come about? Was it always conceived of as part of the project? CHL: I produced a video on how to make mirrored shields filmed by Razelle Benally and the mirrored shields were coming into the mailing address I had put on the video in Standing Rock. Simultaneously I was at a residency at the Institute of American Indian Arts in Santa Fe and basically used my whole residency to produce these shields and drive them up to Standing Rock. At the camp, things were getting pretty hectic. It was Thanksgiving. Rory Wakemup, an artist friend from Minneapolis, and I were talking about doing some sort of performance with the shields, utilizing the privilege of artist as subterfuge. We wanted to design an action that was performed not specifically for a drone but for the Morton County police airplanes and helicopters that were flying over the camp on a 24-hour basis. Rory came up with this idea of creating a Water Serpent form using the shields. As we worked on development of that action, Rory filmed an almost preemptive tutorial drone video of the bodies that were there at Standing Rock wanting to do something. All of the footage that you see in that video is from a practice run for the actual performance. The action itself took place for the police surveillance, and was not documented via drone. Still drone image from Water serpent performance organization and drone operation by Rory Wakemup. Courtesy of Cannupa Hanska Luger. KK: How far away did the shields came from? CHL: They came from all over the place. It was an open-sourced project -- it was about the making and the contribution. I got little pieces of where they were coming from by people sharing on my social media, about the making and the contribution in communities. They came from all over the country. Everybody was charged at that time. As it started to move through social media, I don’t know if any shields came from Europe but we had a lot of support overseas too. I honestly have no idea where they came in from. That wasn’t as important for me as seeing them in use. Onsite, I saw a variety of ways that they were utilized. People brought them to the front lines. People made roofs out of them on their structures, because the reflective surface actually reflected radiant heat so it actually worked as a great roofing shingle within some of the structures that were built there. There were kids sledding down hills on them. All of these things are valid uses of the shields which is kind of the beauty of an open format project. As long as you’re not controlling that narrative. Even in the production aspect, there was a group of kids, I think they were 8th graders from Oregon, they made shields and wrote on the inside of the shields prayers and thank you’s to the people who would be holding the shields. Sharpie markers and crayons - they were beautifully decorated. That was not a part of the original design. But because it was open, it can vary in these ways. KK: Can you talk a little about what you think the relationship between art and participating in public art, and people waking up to these crucial environmental issues? How do you use your practice to engage in any number of different urgent, timely issues. CHL: I think art at its core is designed to do that anyway. I don’t know how you can produce anything that doesn’t have some sort of agenda tied to it. Before it was a human experience and just one of the living things - making the world beautiful - there was also an important aspect of communication embedded in artmaking and I think that’s what this is. I feel as though the world is waking up to this idea again, rather than it being something new. I think it’s incredibly powerful. Art is older than human beings, or homo sapiens. It’s older than us, that need to express oneself and hone a skill. There’s something in that that is embedded deep in the development of the human brain. So utilizing that part of our species - it works because it has always worked. We’ve always experienced artmaking in that way. That and also the role of the artist in society is an interesting space. Like you are celebrated both as genius and maniac simultaneously. That allows you into spaces that everyone doesn’t get access to. So the question is, do you utilize it for yourself or do you utilize it for the people? And that’s the question every artist has to ask themselves. 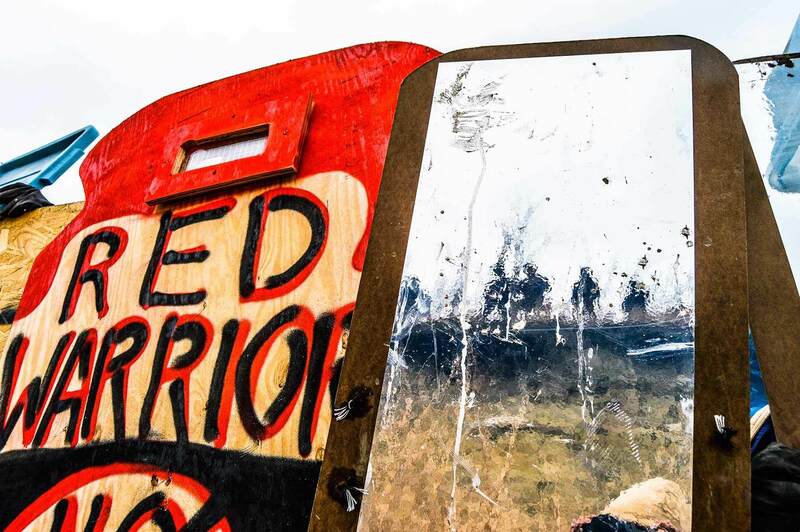 KK: Let’s talk about the fact that Standing Rock happened in 2016. Does it feel funny to be talking about it? Does it feel far away to you right now, or does it feel like yesterday? CHL: It feels like it has always felt for me. I’m invested in that space. Standing Rock never became a hashtag for me. It’s always been home. It’s a location. It’s geology and geography. It’s funny for me to be presenting these shields now because more often than not, I ask myself the question, “When it really mattered, where were you? And what did you do and how did you help at that time?” If this happened 10 years from now and we were having this conversation then I could understand the historical context but we’re so close to it and simultaneously we have these same extractive industries threatening water areas across Indian Country and the world really, right now, but we’re still talking about Standing Rock as a hashtag rather than a geography. KK: I do wonder how institutions like ours can bring more conversations like this to the fore through interpretation and programs. It may not be as effective but it’s still a way to raise people’s awareness. CHL: Totally and this is why I agree to have these shields exhibited after the fact. More often than not, it has allowed me the opportunity to come in and have this conversation within these spaces. Once again this is going back to the privilege of an artist. I get access to these spaces and I can, if I don’t focus on myself, bring these conversations to the front - even after the fact - and tell those stories and have those conversations and allow people to see what was done at the time and also allow them to think about what is now. What I’m most interested in is trying to develop empathy on the internet. That’s at the core of some of these projects that I’ve been doing. How do you put more empathy on the internet? It’s one of those things that separates us from industrialization and politics and all of these systems that we’ve developed. Empathy is this really human developed part of our being that I think technology has allowed us to separate. KK: What is happening at Standing Rock now, due to the pipeline construction moving forward? CHL: Well, it was completed days after it was done. They continued drilling throughout that whole process as soon as they got that drill pad up. Even the presidential decree didn’t stop them from moving forward. That’s been done for a while. It’s underground and we won’t know until it’s awful. Hopefully the oil reserves will drain out before that happens. The big concern is that it’s just a time bomb. We haven’t put into play a pipeline that hasn’t failed. For as vocal as we can be on social media, and politics and taking a stand and all these sorts of things, the reality is, we don’t vote that way. We vote with our dollar. We put these powers in place by the purchases we make daily, not the once-a-year voting opportunities. Or even to stand in protest, we get what we pay for, and we pay for it. If there is a monster, it’s one we’ve created. I think waking people up to that notion is the way forward which is why i’m interested in how it unfolds as social disorder and protest because that’s a good litmus to see how many people, where their heart is, not necessarily where their dollar is, but where their heart is. KK: What’s going on now for you, and what is next? 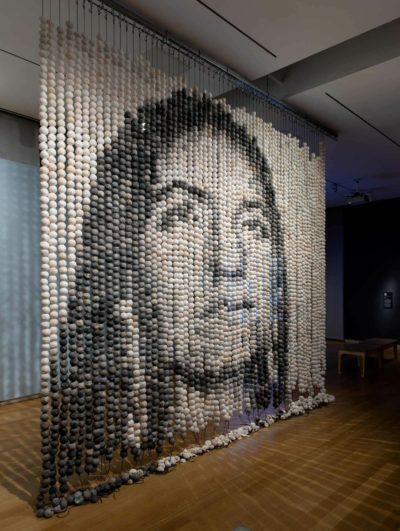 After that Mirror Shield project, I did a data project around Missing and Murdered Indigenous Women, Girls, Queer and Trans relatives resulting in a large scale ceramic bead portrait titled Every One (2018) whose image I stained in ink on the ceramic beads to reference and stand in solidarity with the photograph Sister (2016) by First Nations photographer and friend Kali Spitzer. The MMIWQT Bead Project project was drawn from that same idea: how can I create a video that’s shared where hundreds, even thousands of people can embed their activism in their muscle memory. I really like this idea and I also like the idea of informing a generation on remembering how to make something. I see a real pull in our social structures around manufacturing and around production, because everything is so easy and accessible for money. I think that has depreciated the value of any sort of craft or skill-set -- the ease and access to it and not having any relationship to it. We have a generation who doesn’t understand what goes into making something. Cannupa Hanska Luger, Every One, 2018. Installation view of the The Burke Prize 2018: The Future of Craft Part 2 at the Museum of Arts and Design, New York (October 3, 2018 to March 17, 2019). Courtesy the Museum of Arts and Design. Photo by Jenna Bascom. CHL: I’ve been doing these projects called Counting Coup. Every One was the first iteration of it. I have another project coming up in 2020 that will begin in the summer of 2019 with a video call to action that I will share on social media. This will be another bead project, but using unfired clay to present Indigenous perspectives around borders, particularly the U.S. border and its impact on human life. I want to share an Indigenous-centered conversation around what borders actually mean within our communities - the impact borders continue to have across all tribal nations to some extent. The video will be call to action for communities to produce handmade clay beads representing every body that has been found on the U.S. Mexico border. I’m looking at data from the 1990’s to present. Once again this is one of the data sets that are very difficult to get a concise numbers on, and it ranges between 7,000-24,000 bodies. Not bodies that have crossed, but bodies found in the desert. The hope is we gain an idea of what that data looks like in a physical form, to re-humanize large and abstract data through the process of creating handmade objects representing life. This next project in Counting Coup considers ancestral migratory routes and the lands of Indigenous peoples affected by borders, acknowledging the asylum seekers and longstanding Indigenous relationships to land. This project speaks to intersectionality and the impact of borders on Indigenous bodies across this continent whose migration routes have been traumatically interrupted, such as through incarceration and death. See Luger in the upcoming public program “Ghosting of America’s Past” at PEM on April 27. The day includes a panel discussion with artists and scholars from Nature's Nation and a screening of the powerful documentary Repellent Fence / Valla Repelente, which follows the Indigenous arts collective Postcommodity as they construct a two-mile long land installation straddling the U.S.-Mexico border. 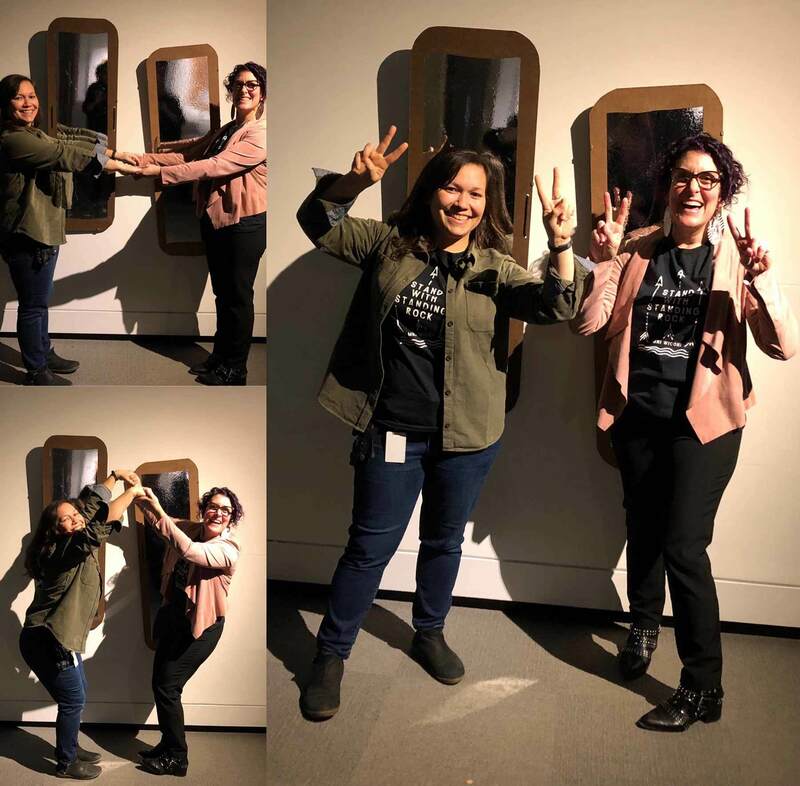 PEM curator Karen Kramer and registrar Rachel Miller in H2O formation, wearing “I Stand with Standing Rock" T-shirts, in front of Luger’s Mirror Shield Projects in Nature’s Nation. Photo courtesy author. TOP IMAGE: Concept by Cannupa Hanska Luger and made by anonymous community members, image of Mirror Shield Project, 2016. © Cannupa Hanska Luger.